Some of my favorite ideas are a result of improvising (hey, there’s a reason this blog is named Design Improvised!). 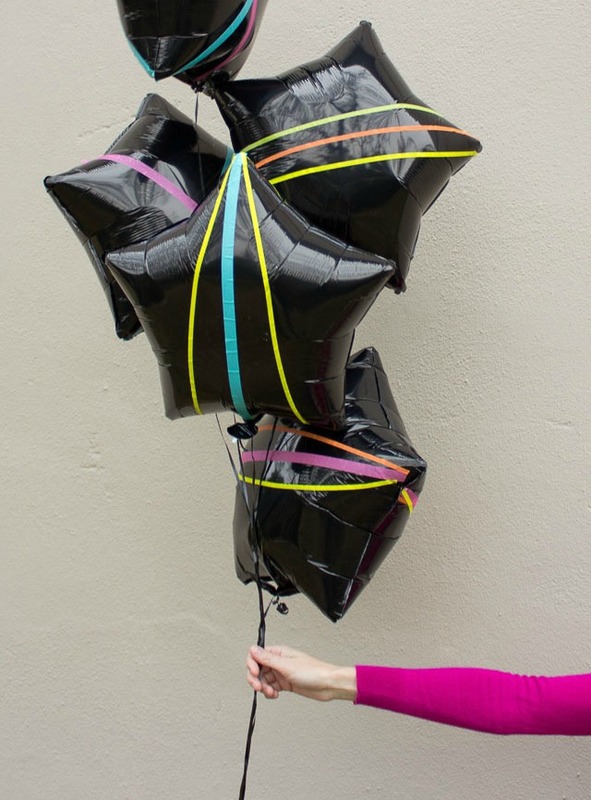 I had originally bought some mylar balloons for a different DIY idea that didn’t pan out. Left with plain mylar balloons, I thought what else can I do with these? 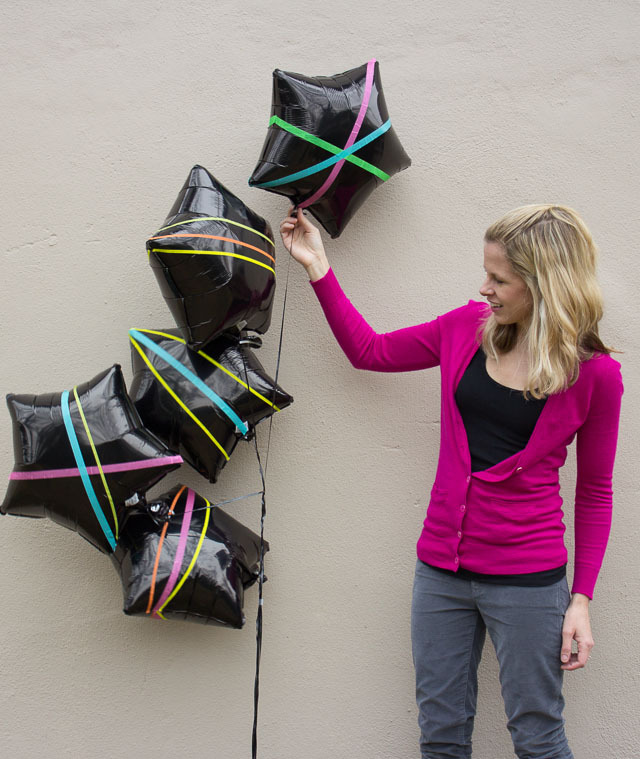 Then I saw washi tape sitting on my desk…introducing washi tape balloons! You can get plain mylar balloons at your local party store in a rainbow of colors and a variety of shapes – the Party City near me carries circles, stars, and hearts for $2 each (filled with helium). 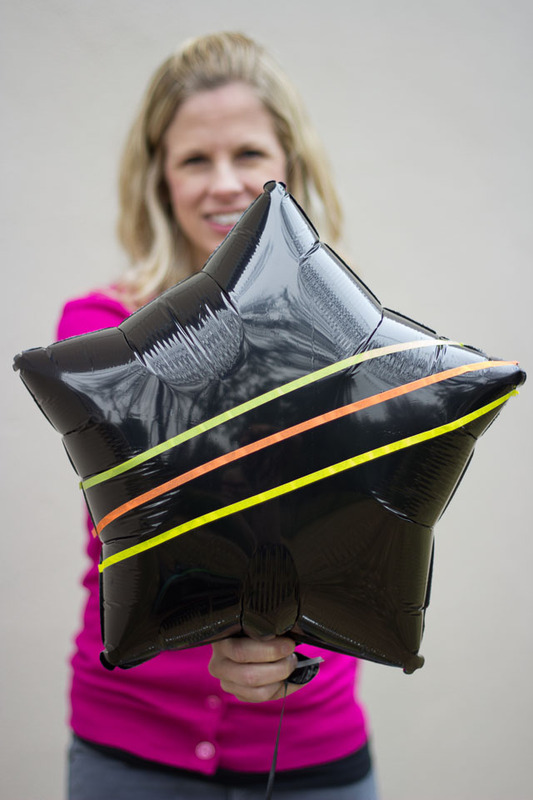 Given washi tape comes in an array of colors and patterns, the options for decorating your balloons are endless! 2. I duplicated the same pattern on both sides of my balloon and tried to match up the tape edges as closely as possible. 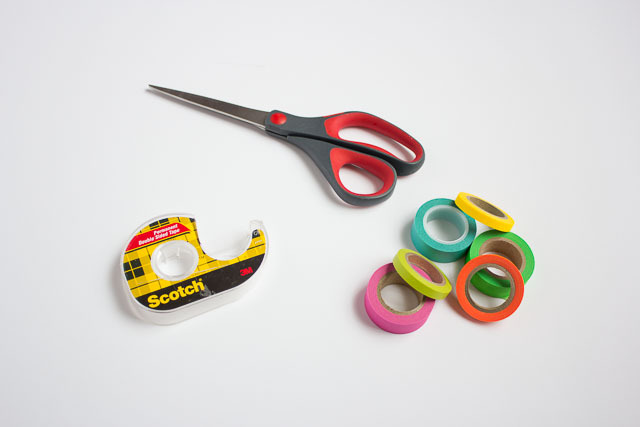 One thing that is great about washi tape, is if you need to reposition the tape or spread it out smoother, you can easily peel it off and reposition it without popping the balloon. 3. A few of my pieces of washi tape wanted to curl up on the end rather then stick to the balloon. 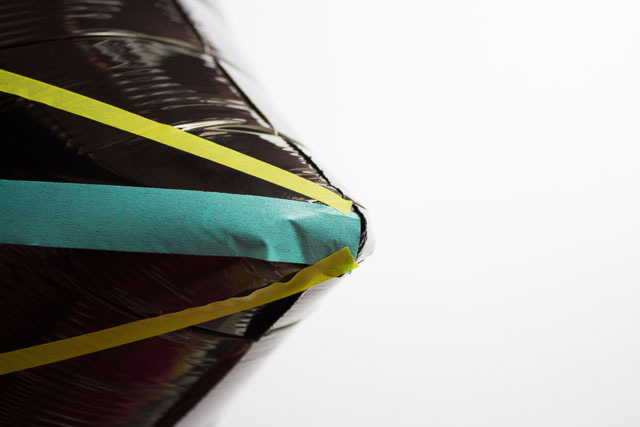 If that happens to your balloons, just use a tiny piece of double-sided tape at the end of the washi tape strip to secure it permanently to the balloon. 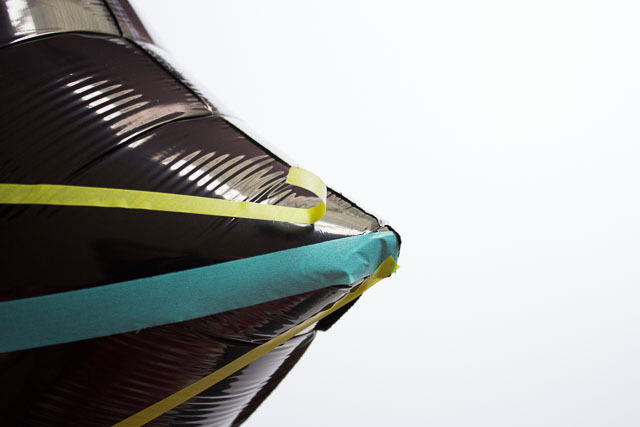 Note: the more tape you add to a helium balloon, the more you will weigh it down. I found that 3 strips of washi tape wrapped all the way around the balloon was the maximum I was able to use without weighing down the balloon. 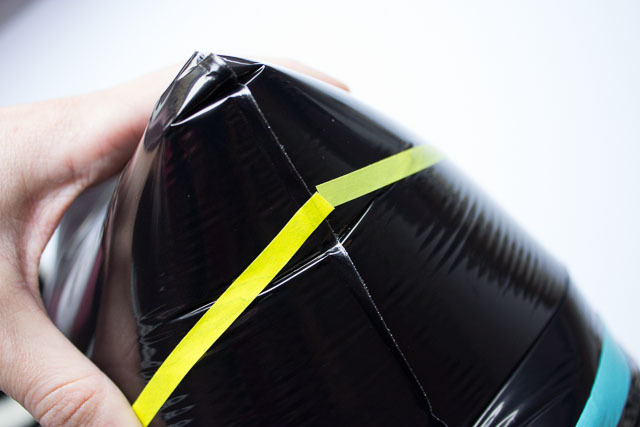 Larger balloons may be able to handle more tape. The cool thing about mylar balloons vs. latex helium balloons is that they will stay floating a lot longer. These are still looking great a week after I made them! 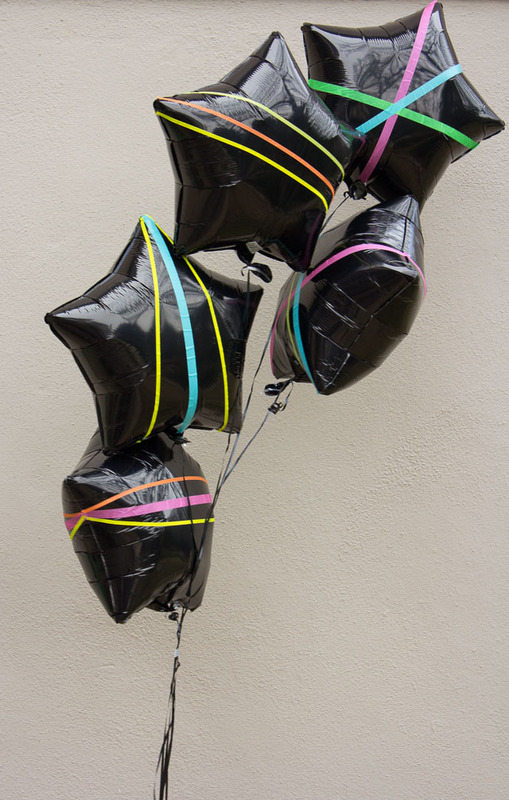 I like the contrast of the neon stripes against the black balloons but I’m excited to try out different color and combinations. 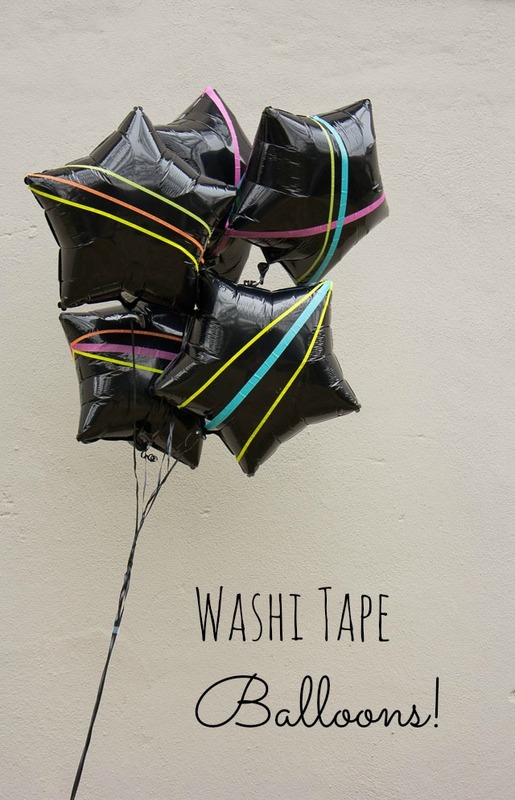 What types of washi balloons would you make? Want to see my other balloon projects? Check out my DIY pom-pom balloons and heart balloons!